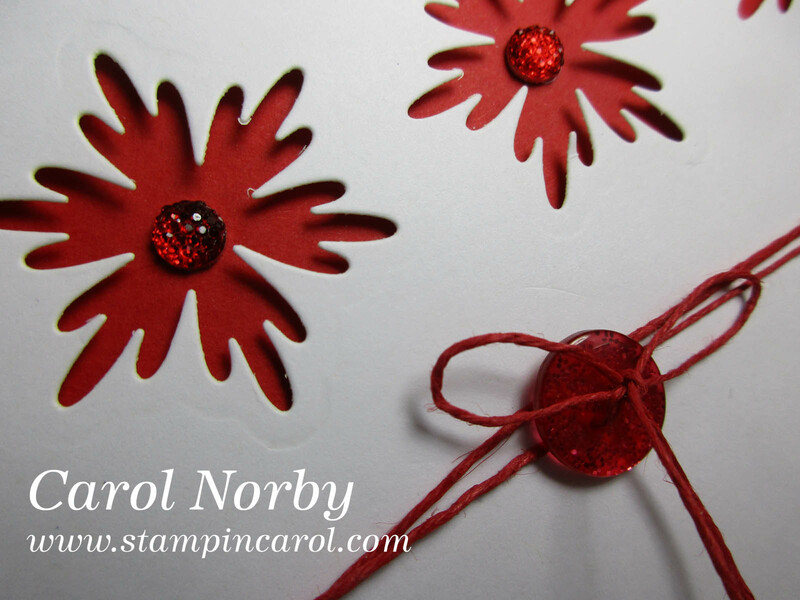 I have now started working on some card samples for my April 26 class. I haven't yet come up with a name for the class but they'll all have flowers on them. I've been searching Pinterest for ideas and here's one I think I'll teach. I usually start with a simple card and work up to more complicated but all my cards can easily be finished at home if need be. I had a hard time finding some flower dies that would work for this, most of what I have are a bit too big to get 3 across like this. 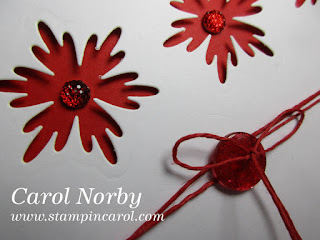 I found some red sparkle dots made by Goosebumps that fit wonderfully within each flower yet sparkled like the button! Though my class is before Mother's Day none of my cards will celebrate that day as most of my "students" are older and have no mothers. I may bring a Mother's Day stamp in case they'd rather use it maybe for a daughter or daughter-in-law, as I do since my mom passed 5 years ago.